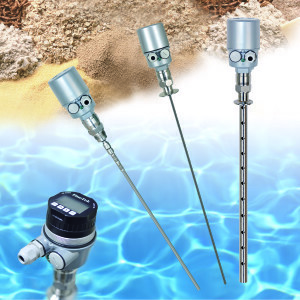 The JTR series is a guided wave radar level transmitter using TDR technology to generate a continuously changing 4-20mA signal representing measured level for liquids, bulk solids and slurry materials in a wide range of industries and applications. 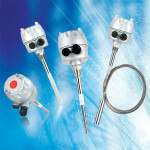 It is cost effective and very reliable. 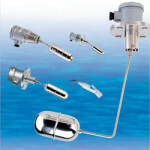 Categories: Level Transmitters, Liquids, Slurries, Solids. Tags: cement level transmitter, displacer level transmitter, displacer replacer, guided wave radar, level transmitter, liquid level transmitter, solids level transmitter, TDR. 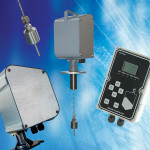 The JTR30 series is a guided wave radar level transmitter that uses state-of-the-art TDR (time domain reflectometry) technology to accurately measure and transmit the level of liquid, bulk solids and slurry materials. 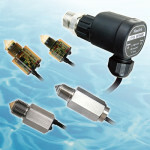 The JTR provides a 4-20mA output indicating material level, is equipped with keypad/display and can also be equipped to provide HART communications output.